If it’s finally time for a new patio, or to redo the old one, there are lots of cool options other than just boring concrete! These 9 creative outdoor patio flooring ideas can be done without a contractor, and can be done in weekend. All of them transform your space into an outdoor room worth showing off! It doesn’t matter if your patio surface has seen better days, or if you are just bored with it… try one of these DIY patio ideas & projects. 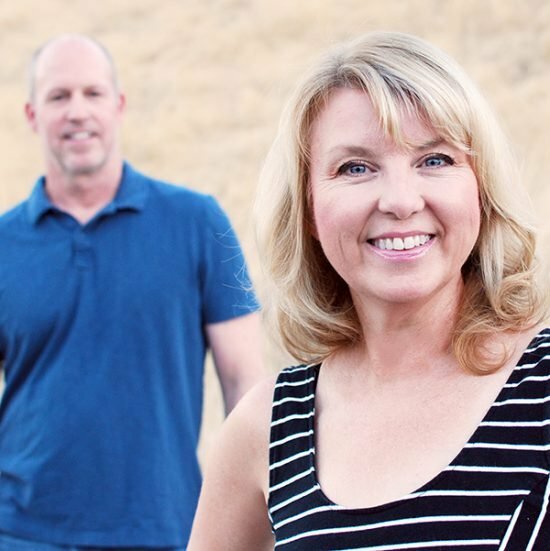 ‘Young House Love‘ has a full tutorial on how to build a paver patio for you! Lot’s of pics, and good instruction that can be adapted for several different looks, including the more modern outdoor patio flooring idea above. Same technique, different material! 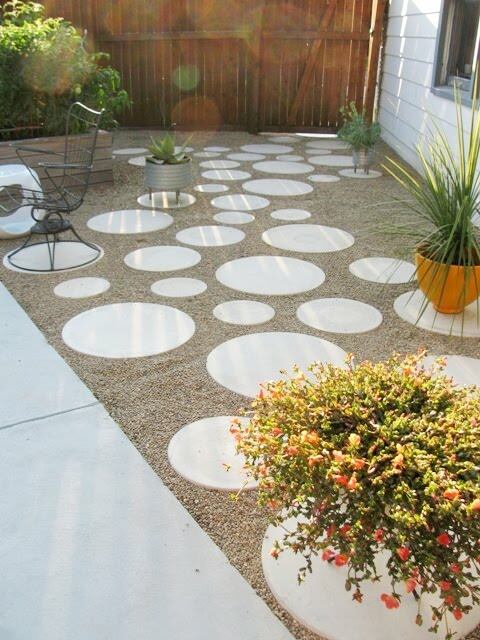 This side yard patio features circular pavers of different sizes set in a random pattern. From ‘Mod Frugal‘. 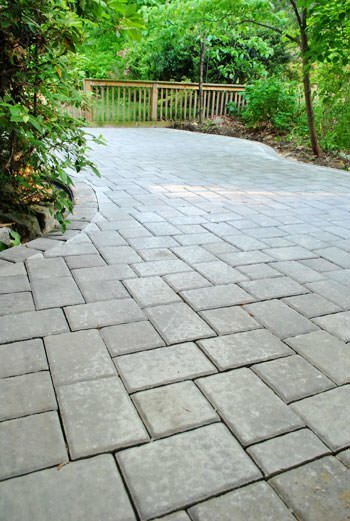 These are pavers set into crushed granite, but you can install a paver patio into builders sand as well. 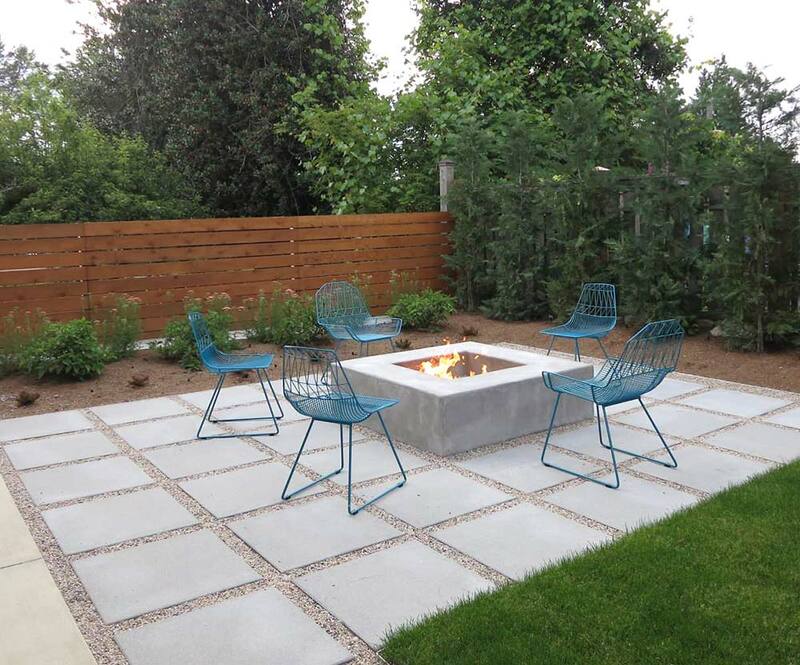 ‘Coates Design‘ in Seattle has this DIY paver patio flooring idea for us. These are simply oversized pavers laid in a bed of sand, then filled with decorative gravel. 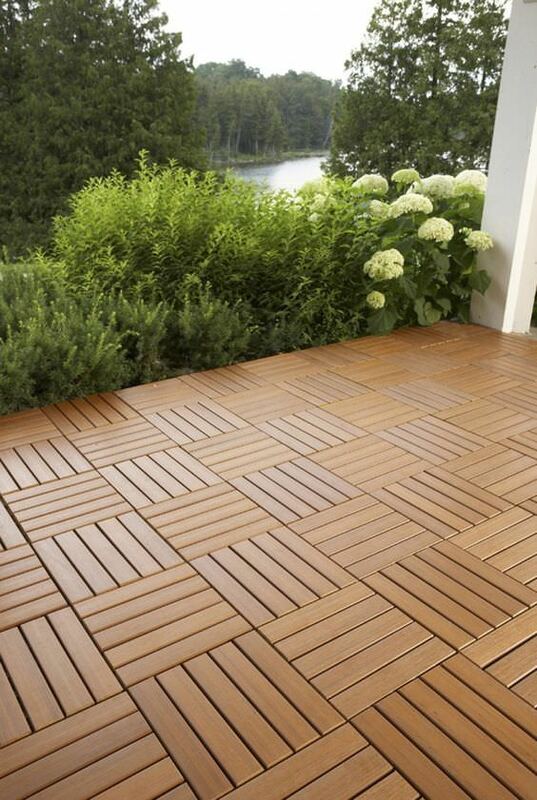 Want a more traditional “feels like it’s been here forever” patio flooring idea? Then learn how to build a brick patio from ‘HGTV‘. Can you tell this technique we’ve been featuring so far is pretty much “the thing” in DIY patio ideas? Here is another option for a Modern Mid-century patio flooring idea using these decorative concrete blocks laid on their sides. From ‘Fresh Digs‘. So if you already have a concrete patio, but you don’t want to have to tear it out (NOT fun and NOT a one day deal!) then you have options. 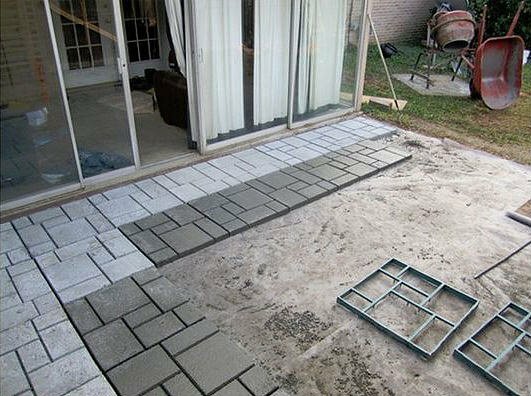 ‘Home Depot‘ shows us how to lay outdoor flooring over concrete – patio version. Looks amazing! You have to jump on over and see the finished project. Want modern and clean looking patio flooring ideas for over concrete? 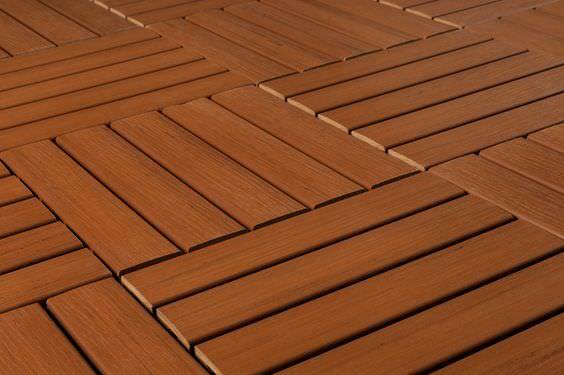 ‘Build Direct’ has these interlocking deck tiles that do the job, again, right over existing patio surfaces! 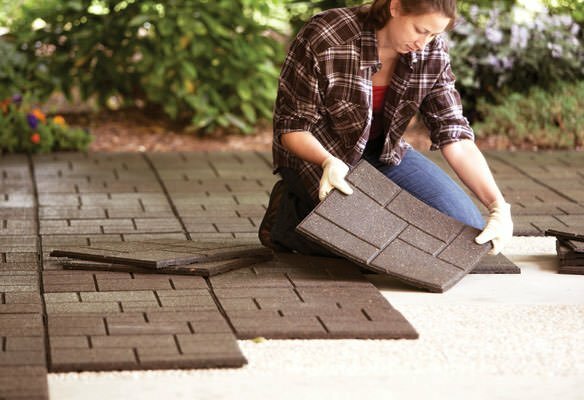 Lastly, you could use recycled Envirotile to recover your patio, from ‘Home Depot‘ They even have a tutorial on installing the tile for you! 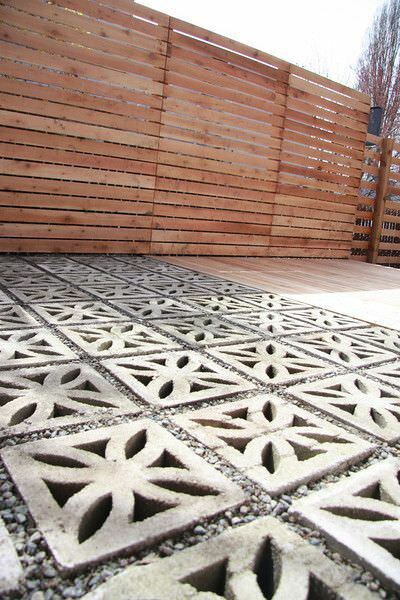 We hope you loved our post on Cool & Creative Patio Flooring Ideas! Looking for more cheap patio floor ideas? 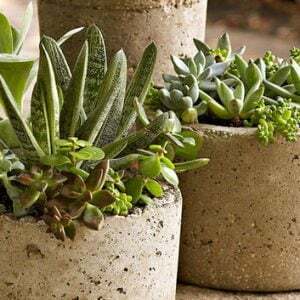 Check out our post on DIY Concrete Patio Cover Up Ideas, and then jump on over and check out our post on DIY Garden Walkways! 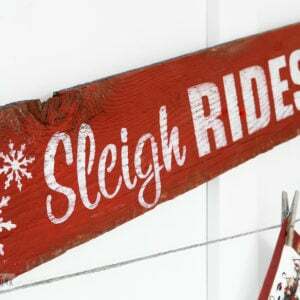 And you may also love our post on Boost Your Home Value : DIY Projects on our sister site OhMeOhMy! 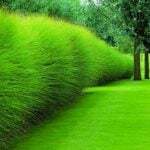 More Garden Edging: 9 Creative Ideas! Hi Cathy, Nice share. I love the circular pavers. Thank you for your hard work. We have been planning a huge backyard renovation and this post could not have come at a better time! Thank you so much. We wanted to do the concrete blocks shown above, but we have not been able to find where to buy them. 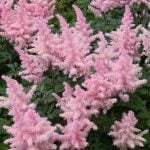 We have found the best bet is usually to contact a landscape contractor and see if they can help you find pavers that are more unusual in your area. Good luck! We have had a tough time finding them as well, but we recently found 20×20 pavers at our local Lowes… Once they get bigger than that, often you have to have the concrete poured into forms in place, much like building a patio, but in parts! Hope that helps! I love the ideas and instructions. 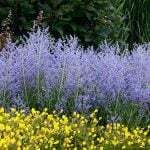 I have been doing a lot of work in the yard and I can tell you especially if you are a lady or a man with limited skills that this is a lot of work and I do mean a lot. You do need to be strong and determined or you may not be able to finish the project. 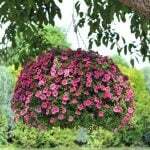 Make sure that you have some help and some shade and perhaps start in spring do not wait until summer. If you want to just get it over with and have the money, by all means hire someone, but if you are looking for a project to be proud of, by all means GO FOR IT! Hi Kathy, great ideas! 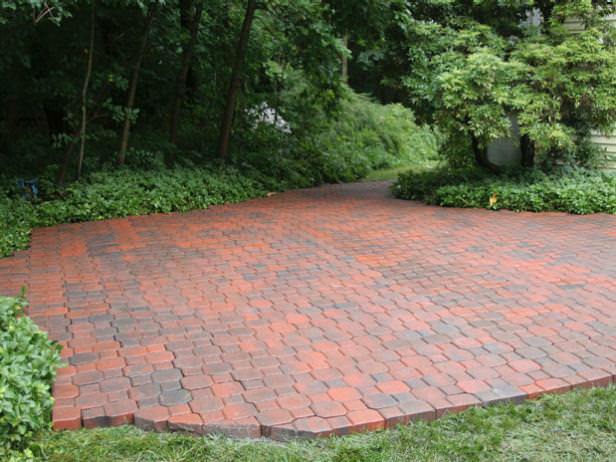 I am really liking the circular pavers, thanks for posting! These are definitely worth sharing concrete patio floor ideas! I’ve been working in the concrete industry for years now, and most people love stamped concrete patios. Well, I can’t blame them because it’s not only aesthetically appealing but also durable and long-lasting. 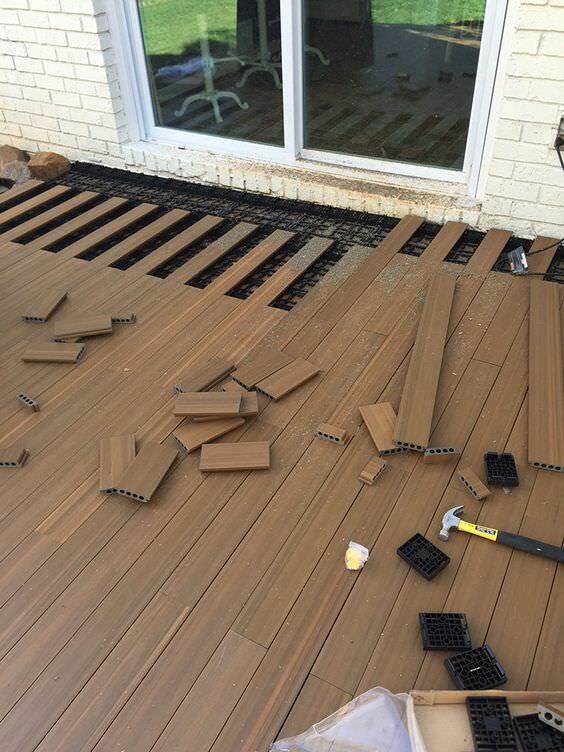 By the way, hiring a licensed contractor to do your patio project is smarter!